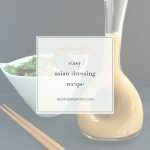 You're going to fall in love with this quick & easy Asian dressing because it takes 2 minutes to throw everything into a mason jar. Just cover and shake it up and you're done! 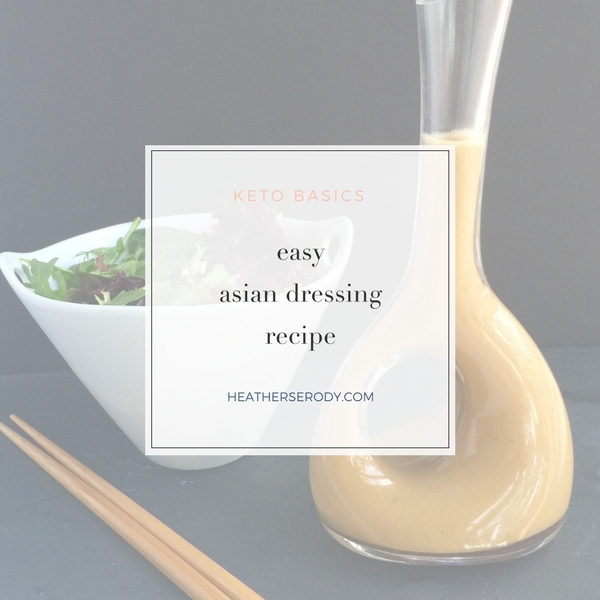 It's keto-approved and you can put it on almost anything, and it will keep in the fridge for a good week. Just give it a shake before using. Serve up a crisp green salad with this dressing and serve it alongside a platter of my Famous BBQ Thai chicken. This recipe is adapted from Asian vinaigrette via NYT Food. Combine all ingredients in a mason jar or dressing shaker. Keeps in the refrigerator for one week. Make it into a peanut dressing by adding 1 TBS natural no sugar added peanut butter.